Relaxed and inspiring, our Sunday mornings are for the entire family to grow in Christ and in our community of faith. 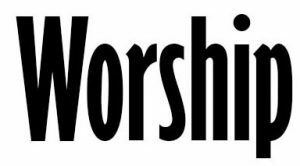 Sunday School classes meet at 9:30am and corporate worship begins at 10:30. Come just as you are. 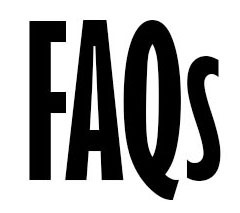 Read some of our FAQs to discover more about Sunday worship and Sunday School. The best place to enter the building when you arrive is the side entrance of the sanctuary. Some of our volunteers will be there to help you find your way to worship and get directions for where Sunday School classes are held. Worship begins at 10:30. We sing hymns from the United Methodist Hymnal, read Scripture, and celebrate the word of God. On the first Sunday of each month the service includes Holy Communion, through which everyone is invited to share in the table of our Lord. Adults: There are five adult classes that all meet at 9:30. Although they do tend to cluster around certain age ranges, they are not necessarily divided by age. They are all conversational in style and choose for themselves the particular curriculum. The classrooms can be accessed directly from the parking lot and are mostly along the breezeway that sits between the office complex and the sanctuary building. Discover Your Sunday School Class. Youth: Middle and high school students meet downstairs. Find the stairs by the Fellowship Hall, and take a right at the bottom of the stairs. The middle school room is the first classroom on the right, while the high school students meet further down the hall. Children: Children’s Sunday School classes follow a fun and interactive curriculum called Dig In. Children from preschool to fifth grade gather together as a group at 9:30. From there they sing songs, read a Bible story, and complete a craft or activity related to the lesson. To get to the children’s Sunday School rooms, find the fellowship hall and just before entering, there is a stairway off to the left. From there follow the signs. If you are arriving for Worship we would like to greet you in our Welcome Center. The Welcome Center is located just inside the wooden set of double doors on the right hand side of our larger parking lot. Inside you will find a greeter and an usher who will assist you in find your way from there. You may also find a lot of other things going on as well. This tends to be a pretty busy place just before worship begins. Depending on their age, there are a variety of options for kids during the worship time. For the babies and toddlers, we have a loving nursery that is staffed by two or more people. Children are checked in and out by their parents. For preschoolers and school-aged children, they are welcome to be in our worship service for its entirety. However, if they prefer to step out, we do provide a Children’s Church time. Kids are escorted out following the “Moment with the Children” with the pastor. Children have their own age-appropriate “church service” in the children’s rooms downstairs where they recite the Lord’s Prayer and Apostle’s Creed, lift up prayer requests, pray and learn a Bible story. They can be picked up in the Welcome center following the service. By the time they are too old for Children’s Church, we feel like its time to put them to work. Older children are invited to be acolytes to help lead the worship services. Generally speaking our services fit into the hour long time frame. And depending on who you ask that can be a very long hour. Our hope and prayer is to make our worship services so engaging that you don’t notice the passage of time. What about accommodating Handicapping Conditions? Our building is very wheelchair accessible. There are ramps to every area of the building (except the downstairs Gods Block which can be accessed from the outside if need be). There is even a lift to assist persons to enter the choir and pulpit areas. We provide hearing assistance devices for those who are hearing impaired. And there are few large print hymnals available for those with vision limitations.